Dining at this signature restaurant is a delight for the senses – from the snap-crackle of the wood fire pizza oven to the caress of the sea breeze. 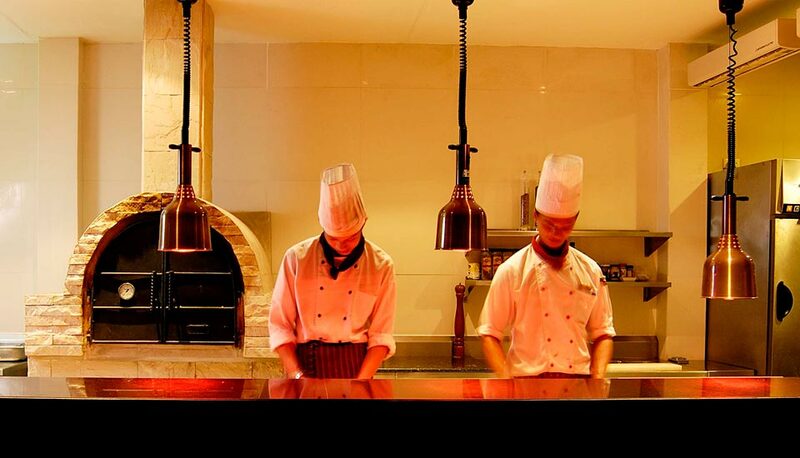 Watch the chefs in the open kitchen expertly prepare pasta, steak and seafood and other Mediterranean masterpieces. Further your experience with a refreshing cocktail or discover that perfect pairing from our impressive international wine list. A Cherry Jubilee flambéed tableside and under the stars is a stunning way to end the night.